Do you have a couple of hours a week or a month to spare? What do walk leaders do? 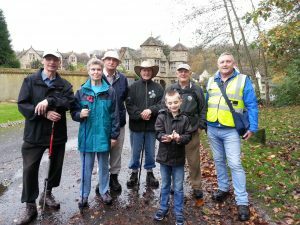 As a volunteer walk leader, you’ll be helping people in your community to get active and healthy, providing vital support that they otherwise might not get. Our walk leaders love their roles and tell us great stories about how much they enjoy helping others to get active and get walking. Plus you’ll stay active, develop your leadership skills, get to know your local area and meet lots of new people. Full training and support is given. Contact [email protected] for more details. What do walk assistants do? This role is an administrative role; you will need to have basic PC skills. The role involves adding registers to a simple established database, answering emails and telephone calls about the walks in Telford. Full training and support will be given. For more details please contact Celia at [email protected] or phone 07512123995.